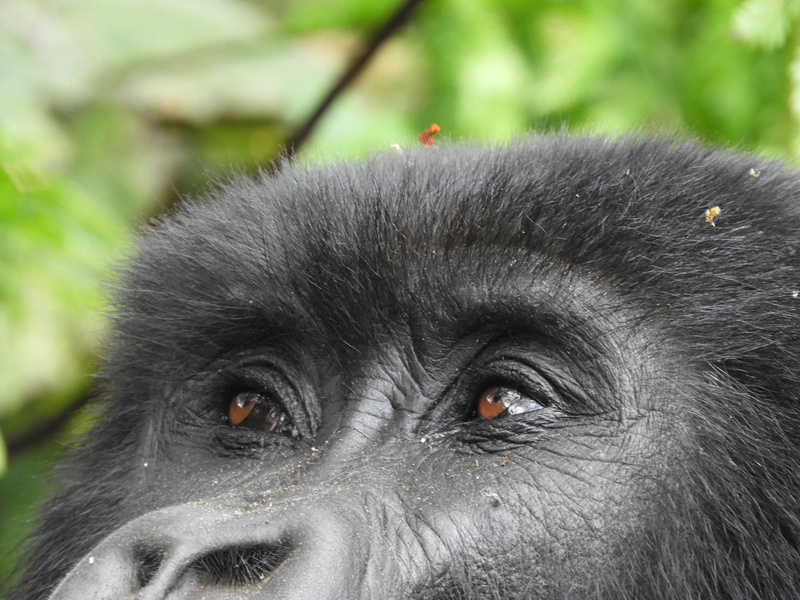 This beautiful closeup was taken by Joanne Kiley, one of the women I was lucky enough to travel with in Rwanda. I am very grateful to all of them -- Joanne, Maureen, Kim, Lisa and Dianne -- for their kindness and patience with me during those memorable few days. They got me soup, tucked me into bed with hot water bottles, and let me ride shotgun in the jeep, and I would never have made it to see the gorillas without them, or our wonderful guide Timothy.